(VEN) – The Ministry of Finance issued Office Notice 17709/BTC-TCT not applying the value-added tax (VAT) on fertilizers, machinery and equipment serving agricultural production, offshore fishing boats and animal feed from imports, production to trading from January 1, 2015. Provincial and municipal people’s committees direct local departments of taxation in a close coordination with management agencies to timely implement an office notice. Firstly, reviewing the entire enterprise, business organization and business households involved in producing and trading fertilizers, machinery and equipment serving agricultural production, offshore fishing boats and animal feed to let them know about not applying VAT to those items from imports, production to trading (including wholesale and retail) from January 1, 2015. 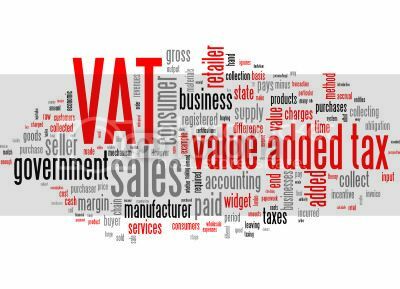 Local departments of taxation direct enterprises and business organizations to cross a VAT line on invoices in accordance with provisions stipulated in Circular 39/2014/TT-BTC dated March 31, 2014. Secondly, local departments of taxation guides business households involved in trading fertilizers, machinery and equipment serving agricultural production, offshore fishing boats and animal feed to not calculate sales of those items into taxable revenues. Thirdly, local departments of Vietnam Customs are responsible to guide enterprises which are involved in importing fertilizers, machinery and equipment serving agricultural production, offshore fishing boats and animal feed to not pay VAT from January 1, 2015. The Ministry of Finance issued Circular 173/2014/TT-BTC on amending import tariffs for some items in the preferential import tariff attached to Circular 164/2013/TT-BTC of the Ministry of Finance to implement the World Trade Organization (WTO) commitments in 2015. Import tariffs on frozen fish (excluding fish fillets and other meat in Group 03.0) and other meat in Group 0303.19.00 will fall to 18 percent. Auto and other motor vehicles primarily designed for transporting people (excluding those in Group 87.02), including station wagons and race cars (Code 8703.23.40), cars with a cylinder capacity of over 2,500 cc (Code 8703.23.94) and others (Code 8703.24.59), cars designed as a apartment (Code 8703.24.70) and others (Code 8703.24.99) will be reduced from 67 percent to 64 percent in import tariffs. Import tariffs will reduce from 59 percent to 55 percent for four-wheel vehicles (Code 8703.24.51 and Code 8703.24.91), from 59 percent to 56 percent for motor vehicles designed for transporting goods not exceeding five tonnes (Code 8704.10.23) and from 47 percent to 40 percent for motorcycles (including moped), cycles with an auxiliary motor and side-cars with internal combustion piston with a cylinder capacity of more than 800 cc (Code 8711.50. 90). Completely knocked down (CDK) cars in Groups 8703 and 8704 pay import tariffs following the instructions in Chapter 98, Section II, Appendix II attached to Circular 164/2013/TT-BTC dated November 15, 2013 of the Ministry of Finance. The new tariffs will officially be applied from January 1, 2015.
rom January 1, 2015, individual business households will pay the personal income tax (PIT) based on the percentage of revenues. This is one of the contents stipulated in the amended laws on taxation adopted in the eighth session of the 13th National Assembly (NA). Individual business households will pay the PIT based on the percentage of sales for each sector as follows: 0.5 percent for distribution and supply of goods; 2 percent for services and building contracts excluding raw materials; 5 percent for asset lease, insurance agents, lottery agents and multi-level sales agents; 1.5 percent for production, transport and services related to building contracts including raw materials; and 1 percent for other business activities. The drafting agency took into account the similarity of the tax amount to be paid compared to the current Law on PIT in order not to cause great affects to individual business households. The tax amount to be paid will be publicly posted at tax offices. Following this method, tax declaration of individual business households is much simpler, creating favorable conditions for taxpayers and people in monitoring tax offices./.